FROM COASTAL AREAS KNOWN AS THE ‘SAND SEAS’ TO SOME OF THE LARGEST SAND DUNES ON THE PLANET, THE NAMIB DESERT IS BOTH INACCESSIBLE AND UNFORGIVING. The Namib extends over 2,000km (1,200miles) across Namibia, from the Angolan border in the north, to the South African border in the south. Considered one of the oldest and driest deserts on Earth, the Namib is almost completely uninhabited by humans...yet African Desert Elephants, Mountain Zebras, and antelope are just a few of the wildlife that populate this incredibly diverse region of Africa. Legendarily treacherous, the Namibia Desert has claimed many ships through the ages along its fabled Skeleton Coast. Some of these wrecked ships can be found as much as 50 metres inland, as the desert slowly moves westwards into the sea, reclaiming land over a period of many years. The people that do call the Namib home have amazing stories to tell, and the team will share them. Our team (family) is a collection of passionate adventurers, content creators, and all around super star volunteers! Without them, our expeditions would never reach the thousands of students in classrooms everywhere. 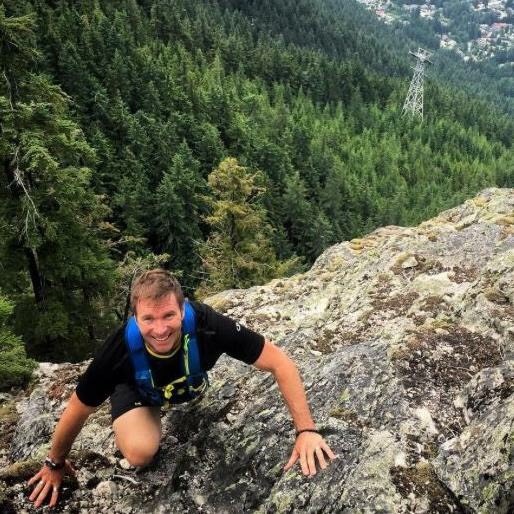 Ray is a Canadian Adventurer, Ultra Distance Runner and Founder of impossible2Possible. A recent recipient of the Meritorious Service Cross of Canada, Ray is also a Fellow of both the Royal Geographical Society and Royal Canadian Geographic Society and in 2015 Canadian Geographic recognized Ray as one of Canada's Top Explorers. Ray speaks internationally at events such as 'The Economist Magazine", World Affairs Council, TED, the Royal Geographical Society and multiple corporate events. Ray recently hosted the reality based television series The Project Guatemala, and has appeared on Jay Leno, The Hour, CNN, BBC, Discovery and many other networks. Stefano is an Italian Ultrarunner and Adventurer. In his early childhood, Stefano was forced to combat the obstacle of scoliosis with swimming classes where his competitive spirit was revealed. Several Iron Man completed (3.8 km swim, 180 km bike, 42 km run), in Europe and the United States. But since 2008, it fully embraces the sport that will become almost reason for life and undisputed passion, the trailrunning , the off-road race. In just 5 years, this passion will take him from the most important races nationwide, to the victory of ultratrail international. Second place in Nepal in the 250 km of Racing the Planet (2011). Second place at Grand to Grand Ultra, 270 km between the Utah and Arizona Canyons (2012); first place Yukon Artic Ultra 100 miles, in the winter frost of northern Canada (2013). First place Gobi March, 250 km in the Gobi desert (China) with Racing the Planet (2013). Jon Golden is a freelance photographer based in Charlottesville, Virginia. He studied at the University of Virginia and works locally and internationally. He is a founder of the Look3 / Festival of the Photograph. He was most recently published in Virginia Quarterly Review and the December 2012 issue of Italian Vanity Fair. He has lived in Sydney, Australia, and more recently Oslo, Norway. He has made photographs and videos around the globe with a particular interest in cold northern latitudes. Ryan Richardson is a Canadian self-taught photographer/videographer specializing in outdoor lifestyle and adventure. Ryan's passion for the outdoors has been fuelled by the people and the lifestyles that are found in these wild places. Since 2015, Ryan has used photography as a vehicle to continue chasing the extremes of the natural world. Chasing adventure and exploration, camera in hand. Ryan's work has been featured in Iceland Air, National Geographic Landscape, Travel Alberta, Tourism BC, Explore Canada, National Capital Commission. His work can also be seen in ads from brands like Fjallraven, Columbia Sportswear, and Buff Canada. Jeff has not only participated in a previous expedition with Ray and the team but has also led and run 3 expeditions in Cambodia, including running from the Cambodia Laos border to the Cambodian Vietnam border with his wife. Mr. Monkey started joining Ray on expeditions in 2009, when his daughter Mia secretly packed him in a duffle bag that was headed to Antarctica with Ray and the the team headed to the South Pole. Mia felt that Mr. Monkey could keep Ray company, and share some stories with her upon his return to Canada. Since that first expedition, Mr. Monkey has been on numerous expeditions all over the world, sharing with younger students his adventures- and all the exciting things that happen while exploring the world! Watch for his blog posts, and photos of his adventure! Our extended team at home works tirelessly on numerous priorities, such as communicating and connecting our expeditions to schools, keeping our partners in the loop, compiling footage and photos for school access, managing media requests, and making sure we keep on track! We couldn't do this without them!